Something I learned a long time ago about my mother’s family…few people had one name. For instance, my great great grandmother was Jennie Kendrick Collins, but the kids called her Bonnie. Turns out she didn’t want to be called “grandmother.” Others–my great aunt: I called her Auntie, her given name was Mary, her siblings called her Sister, though some called her Teutie. (Spanish for sister, I think). My great aunt Dewey was named Ruth; siblings called her Sister, we called her Dewey. And the list goes on. While Mother and I were in Franklin this morning, we happened on the Mt Hope Cemetery. 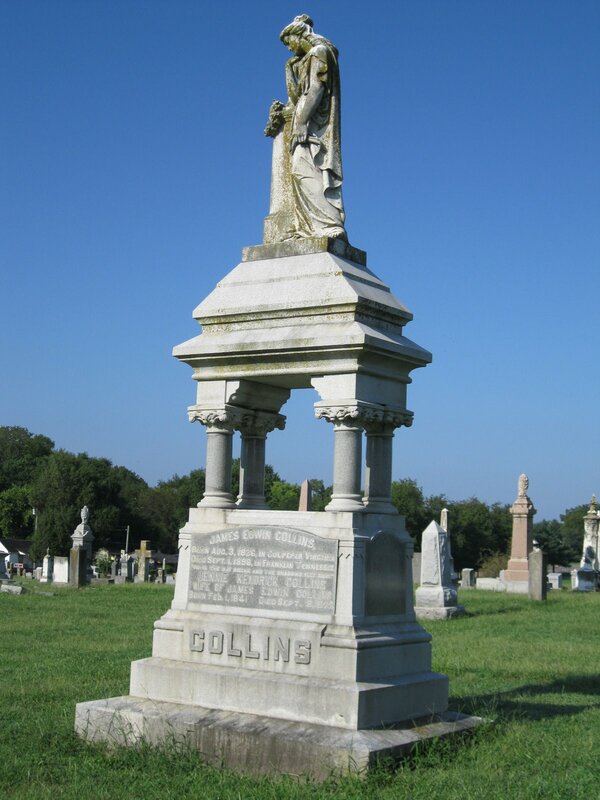 It turns out that my great great grandmother, Jenny Kendrick Collins was buried there. We drove on in the back way into the cemetery, walked around for maybe two minutes and found her tombstone/grave site. Definitely, it was God who led us there–why else would we have landed there? How else could we have found her so quickly? It was such a sweet surprise, since Mother had just been talking about her to me the day before. My nephew, Garrett Kendrick Black, was named after the Kendrick in Jenny Kendrick Collins. Her story is very interesting–she was a writer, and she was certainly a free-spirited person, I’m fairly sure. Any way…roots are fascinating.